I love to visit the websites of other photographers, and the first gallery I check out is their recent work. I will make every effort to keep these images current, within the previous six months. If you see the same image on successive visits and you're pretty sure it's older than that, please feel free to email me and give me a hard time! Thank you! 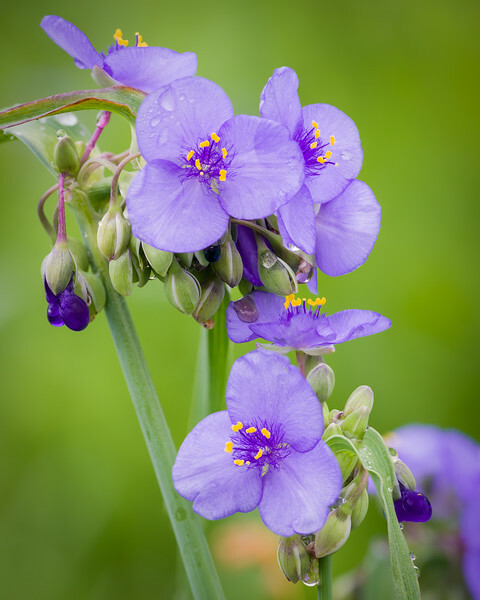 An Illinois native wildflower, spiderwort blooms in early summer on the Schulenberg Prairie. The Morton Arboretum, Lisle, Illinois.